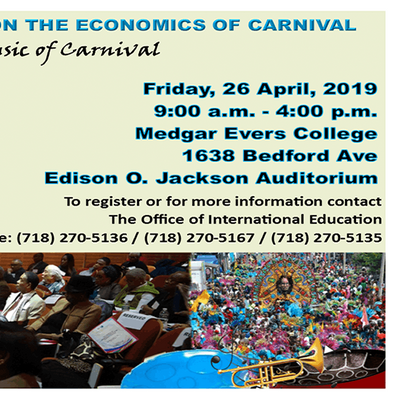 The workshop on the Economics of the Music of Carnival, scheduled for Friday April 26, 2019, will be a meeting of stakeholders to explore ways of enhancing the growth of revenue streams from carnival music. The future of steel pan music. The workshop on the Economics of the Music of Carnival is the second of four workshops in preparation for the Global Summit on the Economics of Carnival. There is no registration fee for this workshop. Lunch and refreshments will be served free of charge. Register early to reserve your seat.